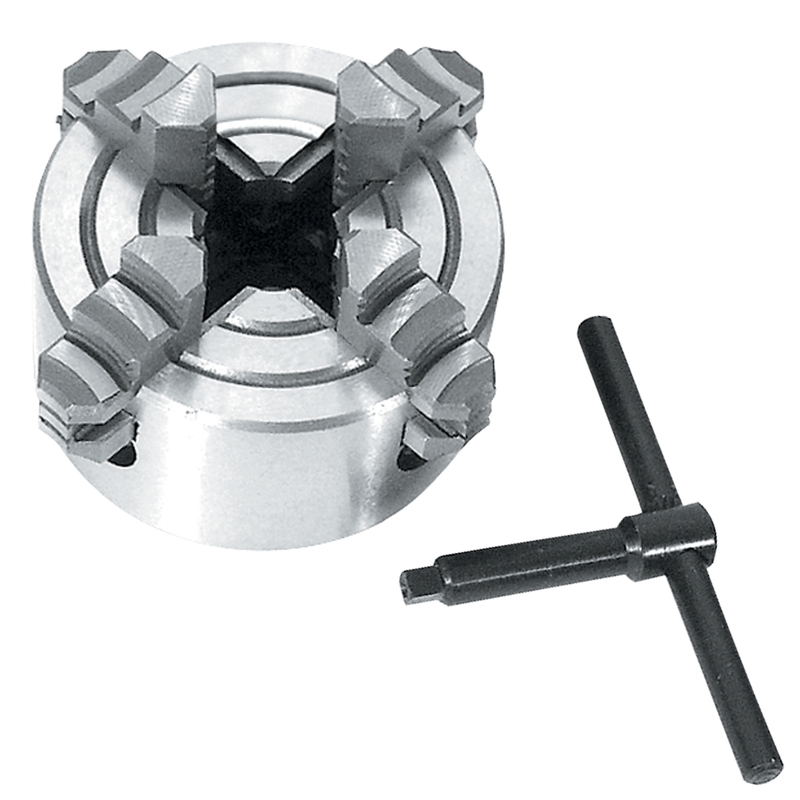 4-Jaw Independent Chuck allows turning off-center or holding irregular parts. Body dia. = 3.150 inches. Internal jaws clamping range = .196 to 1.378 inches. External jaws clamping range = 1.378 to 3.150 inches. Approx. 7/8 inch dia. thru-hole.